Thoroughly Thought Through: Merry Christmas to you all! 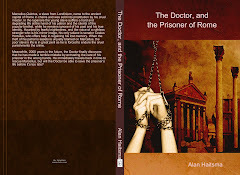 For those who of you who would like a paperback version of the first part of the story, it's now bundled, edited and available at LULU.com, click on the book banner on the right for more information. Merry Christmas to you all, and thanks for reading my story!